Do You Need Underfloor Heating Leak Detection? Is your underfloor heating not functioning as well as it should be? Are you finding that your energy bills are suspiciously higher? Perhaps you need underfloor heating leak detection! Here at Cheshire Plumbers, we are the area’s leading supplier of underfloor heating leak detection and with over a decade’s worth of experience and knowledge, you can rely on us completely to provide you with the highest quality workmanship. Unlike other plumbing companies, we can detect a leak instantly within a square meter without having to cause damage to your flooring. So, if you are worried that you need underfloor heating leak detection, don’t delay, choose the experts here at Cheshire Plumbers! An underfloor heating leak can be caused by a number of factors; corrosion, high pressure, rust, changes in temperature and simply old age. Luckily, at Cheshire Plumbers we are experienced and equipped to provide expert underfloor heating leak detection. With pipework hidden away tidily under the floor, leak detection can often be difficult. At Cheshire Plumbers however, we stand out as the area’s leading underfloor heating leak detection providers due to our ability to easily detect the source of your problem without disrupting your home. 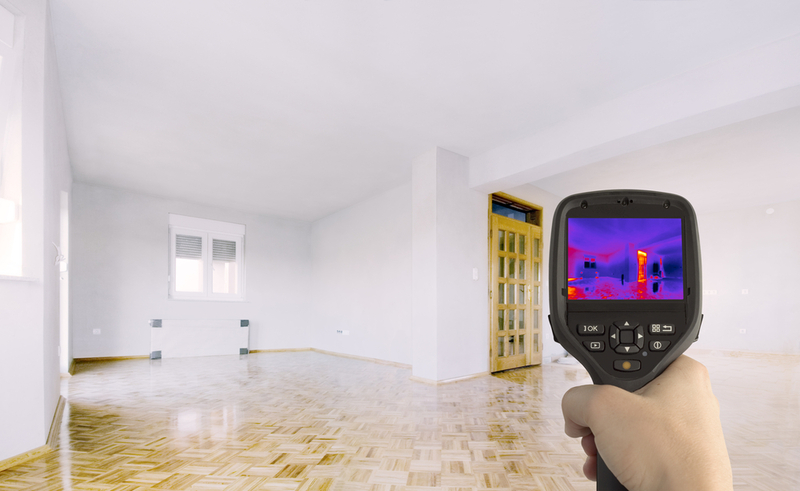 Using the latest thermal imaging technology, we can locate your leak without taking up the floor. Put simply, our underfloor heating leak detection is non-intrusive to make the process as stress free as possible for you! If you are concerned that you may have a leak or a fault in your system, do not leave it to chance. If left the problem will only get worse and it could lead to costly water damage to your property – not to mention increases in fuel bills! We regularly provide leak detection services to Cheshire and surrounding areas so why not get in touch today? A member of our highly experienced and friendly team will be more than happy to advise you can provide you with a free quote for our underfloor heating leak detection service.